Please do not hesitate to contact us to make an appointment or with any questions you may have. Tours of our facility are available upon request. 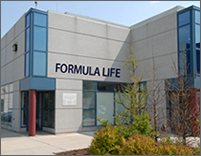 Our location is located near Pearson Airport at Highways 401 & 427 and is accessible via TTC or Mississauga Transit. 2601 Matheson Blvd. E Unit 15, Mississauga,ON, L4W 5A8.